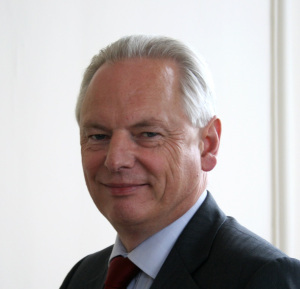 Francis Maude, Minister for Cabinet Office: "Governments talk a lot about delivering value for taxpayers. Yet most of the time they aren’t very clear about what they mean. Now taxpayers can judge value for themselves." Today the Cabinet Office has published an update to the Transactions Explorer tool. This now includes data on the cost per transaction for 44 of the biggest services the Government offers its citizens. Taken together, there are over a billion transactions through these 44 services every single year. That's over 88% of the transactions handled by central government. We now know that these services cost over £2 billion a year to run. Making this data public is a big step forward for transparency. The UK Government has never done anything like this before. And as far as we know, no other country systematically tells its citizens how much they pay for the services they use - services like paying car tax, applying for a passport, or filing a business’s annual returns. This data sets a baseline for service performance. And the public can, and should, judge our progress on improving against this baseline. It is no coincidence that those who have made the biggest strides online have some of the lowest costs. Doing things digitally is simpler, better, faster, and cheaper. Popular online services, such as driving test bookings, have already reaped some of the benefits gained by moving away from expensive paper and phone based processes. We're now at the beginning of a radical transformation of some of government’s biggest services. The digital strategies published last month were a statement of ambition shared by the whole of government to grasp the web’s potential for delivering services in a more effective and more efficient way. This is no small task, and there is a long way to go. The huge range in service costs shown in the Transactions Explorer, and the missing data points in some services, illustrates the scale and diversity of this challenge. Some will have further to travel than others. But by shining the sunlight of openness and transparency on service performance as we have today, the users of government services will be in a stronger position than ever to hold their public servants to account as this transformation unfolds. One innovation that has been discussed for some time is the idea of turning all key government transactions into APIs and allowing third parties to incorporate them into their services. HMRC do this well for some of their transactions such as PAYE - I recall a stat that over 80% of PAYE returns are submitted via such interfaces. Could this be amended to include APIs where third parties can extend the benefit to Government also? I.e. 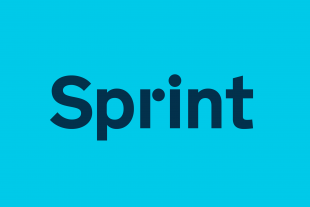 provide transactional platforms that are more cost effective than the current service or that integrate Government and non Government services into a compelling proposition? For example, I would like a My Car service from the RAC whereby the RAC renews my tax disc; books me in for an automatic MOT each year; sends me cost saving options when my car insurance is due; and provides me with breakdown cover - all for one convenient monthly payment. Such a service combines both Government and private sector transactions. The published data states that car tax is £1.28 per transaction. So if the RAC charged Government £0.75p, that sounds like a win for Government as well as a win for the citizen.